Ok so tent pegs aren’t the sexiest piece of equipment but it’s often the little things that make the difference. As the name suggest the MSR Blizzard Sand Stake Tent peg performs at its best in sandy or snowy conditions but will also stay firm in reasonably soft muddy ground where thin tent pegs may pull out. Like all of MRS’s aluminium tent pegs they are coloured red and while that tends to identify them as MSR pegs, even when they are not, the colour does make it very easy to find when you are packing up as well as when you are walking around your tent and the standard silver pegs get lost in the background. 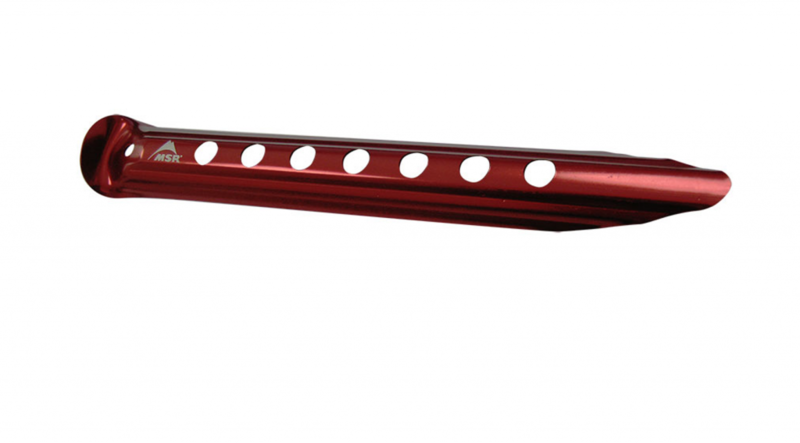 The pegs are 24cm long and have a slightly curved flat profile which gives them their gripping power. They weight in at a hefty 32 grams each which is more than double the well known MSR Groundhog stakes. If I am camping in sandy or boggy conditions I will use these stakes almost exclusively but in normal conditions I will always carry two stakes with me and you will best surprised how often they get used. While I’m currently using the freestanding Big Agnes Copper Spur UL2 tent which sits on a tent platform quite comfortably these pegs will wedge in between the platform timbers ( providing there are gaps and not solid timber) allowing you to fix the tent doors in place to form your vestibules. I have at times used this tent peg to dig cat-holes however many of the locations in Australia that I camp in either have very rocky soils, or the soil is a mass of roots, and its just two much work in those situations too use this tent peg as a trowel. While most tents will comes with tent pegs I would suggest that you look at these often forgotten items and if not replace all of them, at least look at carrying a couple of the MSR Blizzard Sand Stake Tent Pegs. You will find cheaper copy versions in many stores but MSR equipment overall just has that quality feel about it that makes it worth the extra few dollars that you pay. 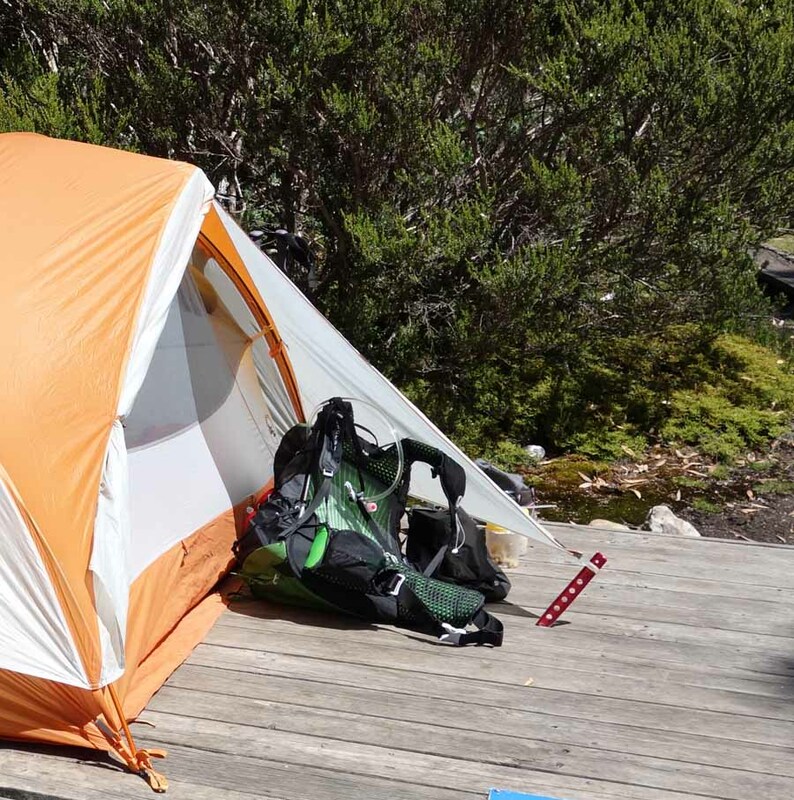 You can purchase MSR Blizzard Sand Stake Tent Peg from Wild Earth. Please note we have no affiliations associated with this product. I just like it and want to spread the word.